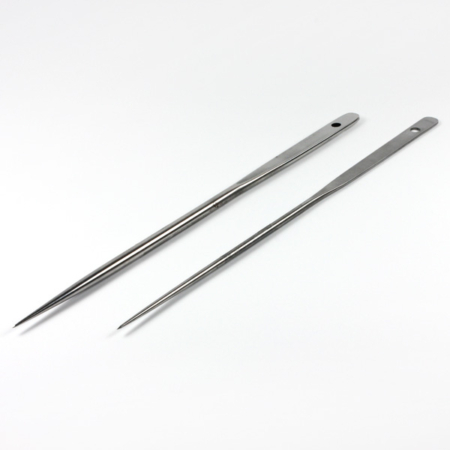 Osborne Straight K5 Round Single Point Needle Kit. 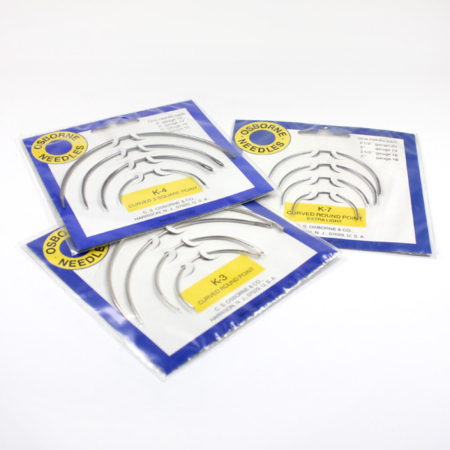 Straight round point needles can also be purchased individually from AJT Upholstery Supplies. If there is any advice or information that we could offer you, please contact our sales team on 01384639990. 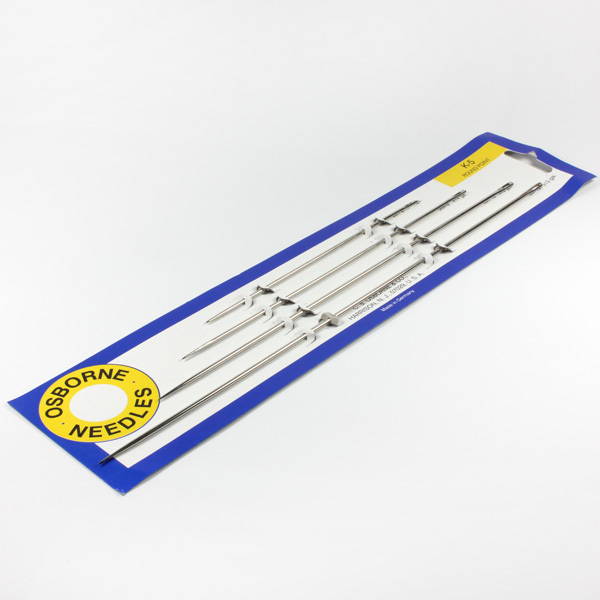 Osborne Straight K5 Needle Kit needles have a very sharp point at one end. 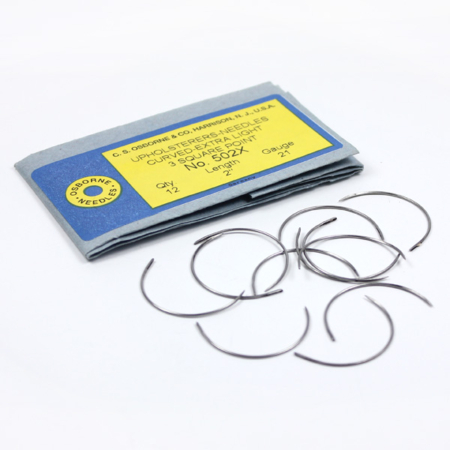 An example of its use is for attaching buttons to furniture, headboards etc.